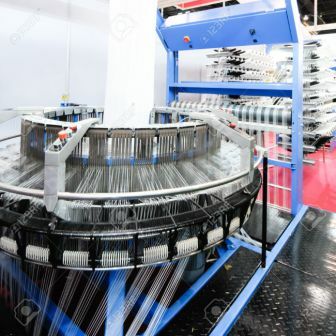 Apparel Desk: The Indian ministry of textiles has set up institutional mechanisms to synergize efforts related to ministries and state governments to enable the textile industry achieve its full potential of production, exports and employment. Textiles India 2017, held in Gandhinagar last month, hosted a series of roundtables (26) and international conferences where delegates deliberated on various opportunities for sectors growth. Several key recommendations emerged from the deliberations. To carry forward the recommendations, the Ministry has set up institutional mechanisms involving relevant ministries, state governments and industry partners like a Steering Committee has been set up to oversee implementation of a Knowledge Network Management System (KNMS) to facilitate exchange of knowledge amongst academia, farming community and the industry on the productivity of natural fibres and diversification of their bye-products. The Committee under the chairmanship of additional secretary, Ministry of Textiles will have senior functionaries from the agriculture ministry and Farmers’ Welfare, Ministry of Skill Development and Entrepreneurship, Department of Industrial Policy and Promotion (DIPP), Department of Animal Husbandry, Dairying and Fisheries. To enhance growth and competitiveness of MMF industry in India an Inter-Ministerial Synergy Group on Man-Made Fibre (MMF) comprising senior officers from Ministry of Petrochemicals etc has been set up under the chairmanship of secretary, textiles to formulate policy interventions. Also a task force on textiles India, chaired by secretary, textiles and consisting of representatives of DIPP, Consumer Affairs, Heavy Industry etc TC India, representatives of Partner/Focus states of Textiles India 2017, Export Promotion Councils, Textiles Associations and representatives from Consumer Associations has been set up to steer follow-up action on various outcomes of Textiles India 2017.